Should you buy a cheap or expensive hearing aid? 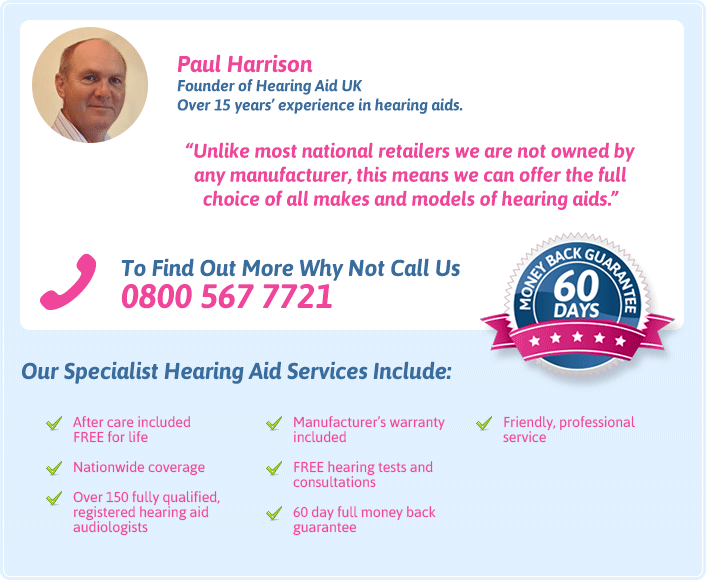 With a potential outlay of £500 to £2000 for one hearing aid, even the basic hearing aids are a hefty investment. So which do you choose? A high end model with more programs than you know what to do with? Or a more basic model that might not be up to the job? Here’s our guide to the advantages/disadvantages of each. Firstly, they cost less. If you need two hearing aids the saving over a more advanced model is quite significant. They have fewer channels. The more channels a hearing aid has, the more finely tuned it can be for your hearing loss. Depending on your type of hearing loss this may not affect you much. However it does mean that the sound quality may not be as good in demanding environments such as a busy workplace or large social event. They have fewer microphones so they amplify everything around you rather than focusing on one area. This can make it hard to hear speech in noisy situations. They have fewer programs and you may have to change program or volume setting manually. However if you spend much of your time at home or in quiet surroundings and need a hearing aid for 1-1 conversations, it’s unlikely that you will need lots of programs or need to change your settings and volume that often. Some basic hearing aids are wireless, meaning that they can synchronise their settings, so if you change volume on one, the other changes automatically. This type of hearing aid may also have a remote control so you don’t have to worry about fiddly buttons. The programs may include a feedback cancellation program, which reduces the whistling noise, or a wind noise reduction program. Whilst they don’t have Bluetooth capability, most basic hearing aids have a built in t-coil allowing you to link to loop systems in shops or at the cinema. You can also connect a loop system to your TV or PC and some home telephones have a built in loop. Some local councils provide home loop systems and other listening equipment for free, so if you’re on a budget it’s definitely worth looking into. The financial outlay is the biggest disadvantage of advanced models, it’s certainly the main thing that makes most people choose something more basic. But before you make a choice, consider the extras that a more advanced hearing aid provides. They have more channels. Because there are more channels, each with smaller frequency bandwidths, the hearing aids can be finely tuned to your hearing loss, making sounds and speech clearer. They have more microphones. More microphones means that the hearing aids can pick up sound from one area whilst reducing sound from another. This is helpful when you need to focus on conversation in front of you and reduce noise behind you. They have more programs, and there are lots to choose from. Some of the most useful are speech detection programs and noise reduction programs. These automatically change the focus of the microphones to make speech clearer. If you are sensitive to loud noise, a sound softening program can reduce the sound of sudden loud noise, making listening more comfortable. Advanced hearing aids can also detect changes in your listening environment and change the settings or volume automatically. Memory programs can remember your favourite settings in different environments and change back to these automatically. Along with feedback cancellation and wind noise reduction programs, they may have tinnitus programs which can relieve the symptoms of tinnitus by playing soothing sounds. There are specialist music programs which allow you to listen to music clearly without any sound distortion. (Some feedback cancellation programs can distort music sound). Bluetooth capability allows you to stream sound from media devices via an additional streamer to your hearing aids. Apps are available that allow you to use your smart phone as a remote control. The ‘made for iPhone’ hearing aids don’t need an additional streamer and work with the iPhone, iPod and iPad. Whilst the amount of programmes may seem confusing, many work automatically and are easy to use with the smart phone app or a remote control. If your hearing aid frustrates you then you aren’t going to use it. It’s not a bargain if it sits in a drawer. By the same token, buying features or programmes you don’t use will leave you cross with the extra outlay. Before choosing a hearing aid, consider the style and models that you like. Would you find buttons or a small ITC hearing aid too fiddly? Think about the areas in your life where hearing is difficult. What sort of listening environments do you need help in? What sort of activities do you enjoy? If you had better hearing what could you do?